The 22nd Annual Southern Plains Beef Symposium kicks off at 8:30 a.m. Saturday at the Ardmore Convention Center. Leland McDaniel, Carter County extension education agent, says the one-day program will feature some of the finest speakers in the country. McDaniel says their second speaker, Kit Pharo, is a widely-known rancher from Colorado with a little different perspective on the cattle industry. “Kit’s message is really about being a low-cost producer. And he learned years ago what we’ve all been taught in college that there’s a point of diminishing returns. And that maximum profitability doesn’t always equate with maximum production. And so that’s his message. And we wanted to challenge producers occasionally with some thinking that maybe’s a little outside of conventional wisdom and we think he’s got a good message to tell. “Mike Sands with Informa Economics from Memphis, Tennessee, formerly Sparks Commodities, is going to give us a general overview of global and U.S. economic perspective and maybe what that foretells for production agriculture in terms of production costs in today’s world and looking into the next few years. Registration for the Southern Plains Beef Symposium is available by clicking here. The cost is $25 for pre-registered guests and includes the symposium, the trade show, and a prime rib lunch. Registration will also be available at the door for $30. Doors open at 8 a.m. and the program begins at 8:30 a.m. The show wraps up at 4:30 p.m.
Click on the LISTEN BAR below for the latest Beef Buzz. The Beef Buzz is a regular feature heard on radio stations around the region on the Radio Oklahoma Network- but is also a regular audio feature found on this website as well. 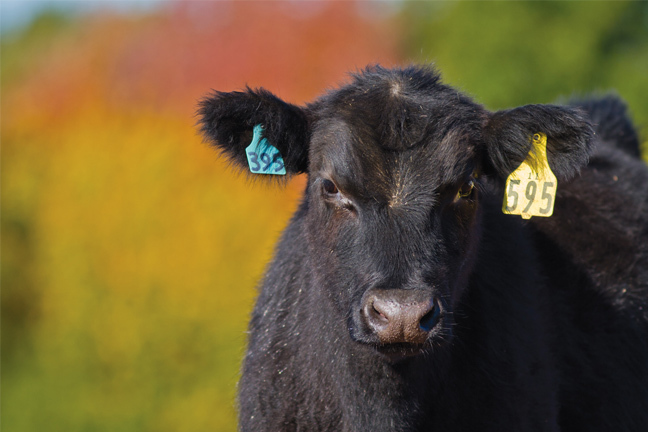 You can check out our archives for older Beef Buzz shows covering the gamut of the beef cattle industry today.